Support your customers where they are - on their phone! 98% of text messdages are opened in 90 mins. 98% of text messages are opened in 90 minutes! Your text messaging command center keeps all your messages and customer status in one place. Text enable your current land line, add a facebook channel, or setup multiple new departments (we’ll provide the number) to ensure customers reach the right spot. 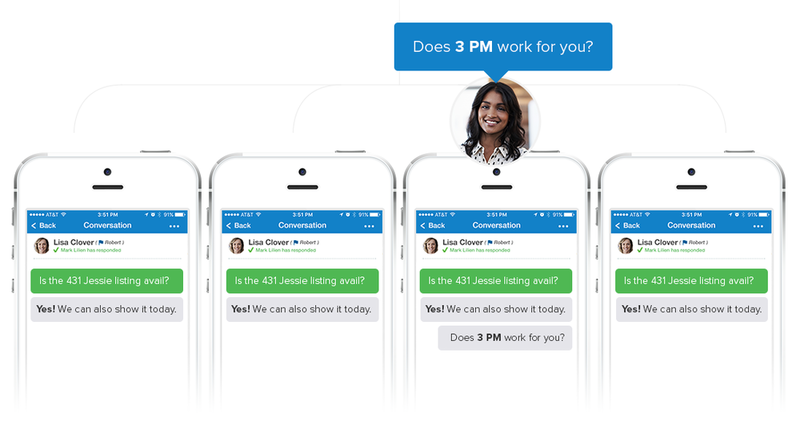 Invite your team onto textline and work together to respond to customers. Agents both in and out of the office can respond to from the same business number. Import your current customer base or start a new one. Anyone that text messages one of your departments can be added and given the VIP treatment next time they text. Everyone knows emojis are the best part of texting. We love sending them. We love getting them. Add a little personality to your messages. Use attachments to send pictures, forms, and other documentation to your customers quickly and easily, right from your desktop to their phone. Stay connected with multiple devices, Desktop or Mobile. No new hardware or software needed! Textline allows for internal discussion within the chat flow. Your team can discuss next steps on handling customers, or even offer internal feedback for customer support training. Conversations can be transferred/assigned to other team members that might be more specialized to handle particular customer requests. Set Reminders for individual Conversations, so you can remind yourself to follow up with a customer or perform a task related to the Conversation. Create custom shortcuts to speed up your workflow. Selecting a shortcut automatically injects your shortcut text allowing you to quickly answer repeat questions or reference important information. Textline allows you to compose outbound messages and schedule them to be sent at a later time and day. Keyword Responses send immediate messages to contacts who text you with specific words or phrases. Include text, a link, or even automatically attach a PDF! 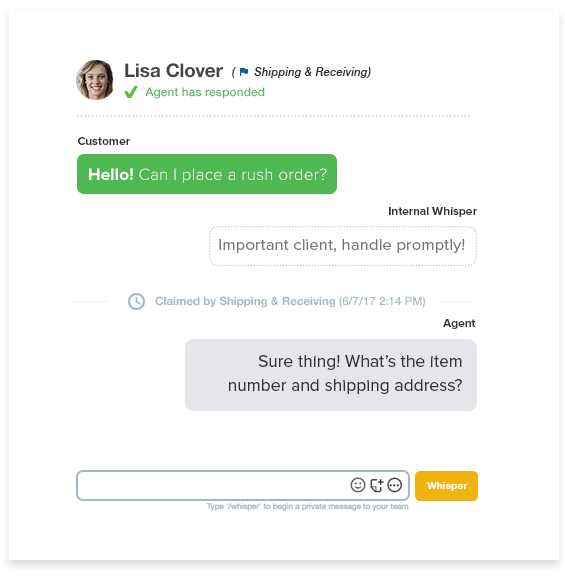 All your connected agents get notifications / text messages when a customer texts your Textline number. Active agents can follow the conversation and step in whenever necessary. Send non-marketing texts to multiple, specifically tagged, or all your customers at once! Net Promoter Scores are a proven way to understand customer loyalty with one ultimate question. Reach your customers directly with mobile NPS surveys via text messaging. 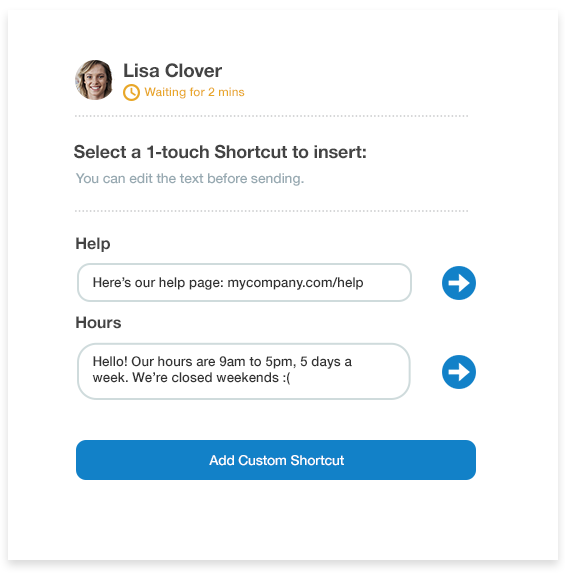 Integrate with Slack, Zendesk, Zapier and Help Scout for better business texting. 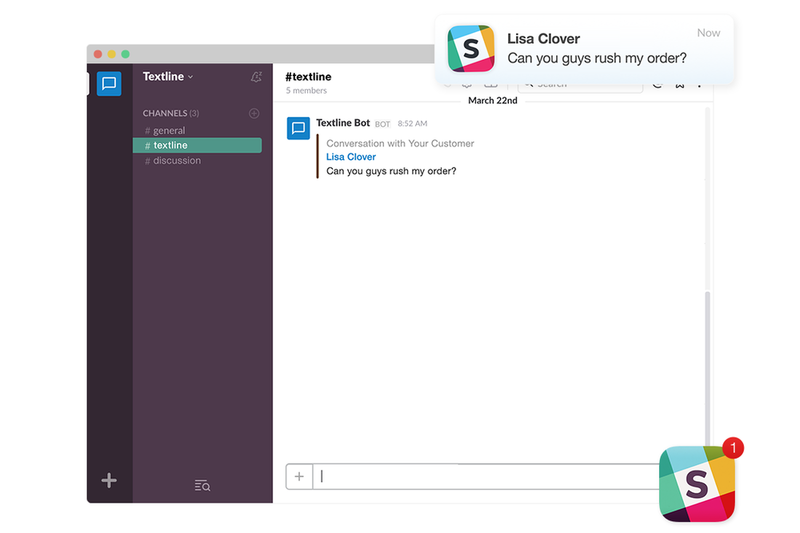 Textline’s integration with Slack allows you receive Textline notifications conveniently within Slack, while you communicate daily with your team.